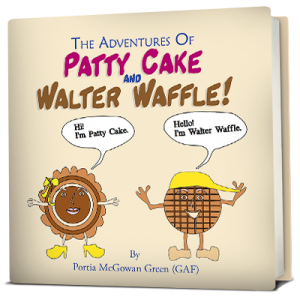 The Adventures Of Patty Cake And Walter Waffle! This team of breakfast foods had one fancy time in a breakfast bar! Once inside, you get more than breakfast! Go along and be amazed at the unique characters! You won’t want to leave."